Many of us take our literacy for granted. Navigating subway signs, reading apartment lease contracts, and understanding dosage instructions on our medicine are all essential for being functional New Yorkers. However, staggeringly, one in five New York adults are illiterate. Our challenge was to give literate people a taste of what life is like without this essential skill. 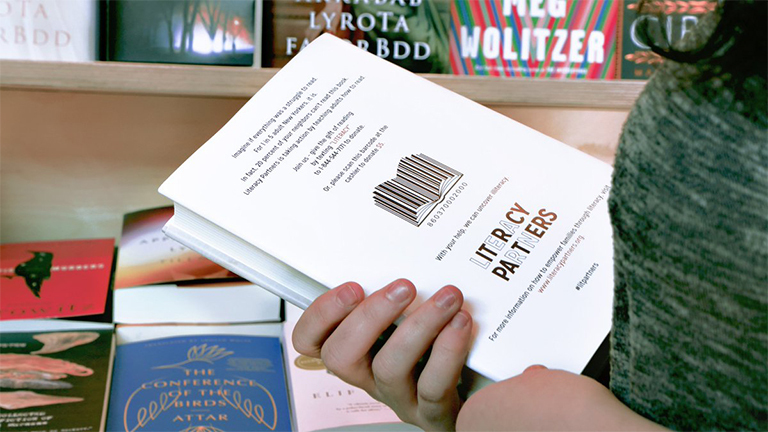 We created unreadable books in a Soho book shop, jumbling the letters on the covers of best-selling books to give avid readers an appreciation for how illiterate people feel on a daily basis. On the reverse cover, the work of The Literacy Project was explained, and book lovers were encouraged to make a donation. The campaign exceeded our clients’ donation goals and was shortlisted at Cannes 2018.